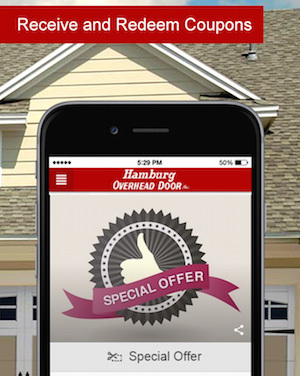 Get The Hamburg Overhead Door App! 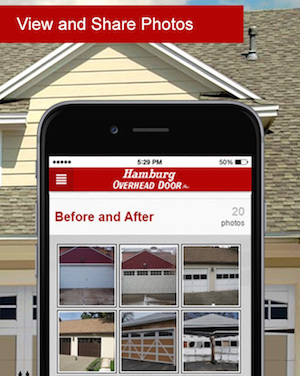 Check out our new app to see samples of our top quality work, view our services, receive coupons and participate in our annual 'Ugliest Garage Door' contest! See professional and customer provided photos of our doors and work to get an idea of what you can do! We provide all services relating to your door, from quoting and installation to repair and maintenance. View all of the services we provide for you and contact us to help with your overhead door needs. Who doesn't want to save money or receive something for free? Looking to get an installation or need service? You can now check the app to see our latest coupons that save you more! Got the ugliest garage door in the neighborhood? You can now participate in our annual 'Ugliest Garage Door' contest directly from your app for your chance to win! Even if you have the best door in the neighborhood, you can still participate by voting on other people's ugly garage doors for a chance to win.